Yang Rui, anchors Dialogue, a thirty minute daily current affairs talk show and one of the flagship programs of the channel. He joined CCTVNEWS, the predecessor of CGTN, in 1988 and quickly became the co-host of Focus, the channel’s first English language current affairs show. In 1995 he founded the Channel’s English Language Reporting Team. Prior to joining CCTVNEWS, Yang worked for China National Radio as a sub-editor for world news. Yang Rui is the author of three books on media and current affairs and has received numerous awards, including China’s most coveted prize “Best Anchor”. Tian Wei is the anchor of World Insight and has been the only host since the program format changed from a weekly news roundup into a global debate show. Before joining CCTVNEWS, the predecessor to CGTN, Tian started her career in radio, hosting China's first foreign language radio talk show, and once worked in Washington, D.C. as a based correspondent. Tian has conducted exclusive interviews with various heads of state and well-known international figures including former UN Secretary-General Ban Ki-moon, former U.S. Secretary of State Hillary Clinton. Liu Xin is the anchor of CGTN’s new weekday opinion program The Point with LIU Xin. She joined CCTVNEWS, the predecessor to CGTN, in 1997. For over a decade, Liu was one of the channel’s signature anchors, covering major events both in China and around the world. In 2011, she was posted to Switzerland to set up CCTV’s Geneva Bureau and served as bureau chief for nearly six years. Liu is a distinguished journalist with almost two decades of experience. She has won numerous awards including the Chinese Government News Award, CCTV’s Anchor of the Year, and Outstanding Staff of the Year. 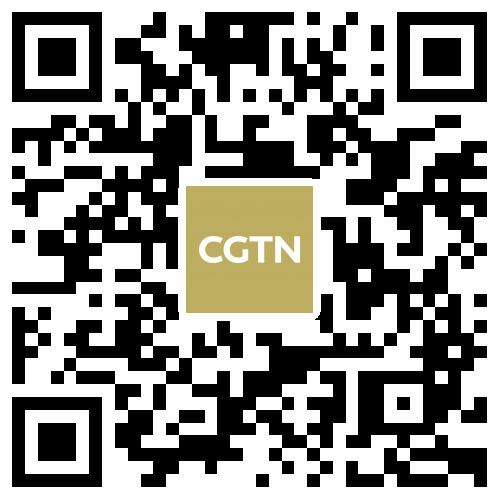 Zou Yue anchors China 24, and also contributes to The World Today on CGTN. Zou became a correspondent at CCTVNEWS, the predecessor of CGTN, in 2003. Since 2010, he has been the host of China 24. He became the Head of Anchors Team of CCTV International in 2009. Before joining CCTVNEWS, Zou was a producer and reporter for Wuhan TV where he had primary editorial and news gathering responsibilities for all local news coverage. He also anchored the 15-minute local daily English language news program. Wang Mangmang hosts Asia Today and is also co-anchor of China 24. Wang started as a correspondent of the channel. She has excelled in covering natural disasters, such as the snow storm that paralyzed southern China in 2008, the 8.0 magnitude earthquake in China's southwest Sichuan Province the same year, and Japan's earthquake and tsunami in 2011. Wang has interviewed many political figures including Chinese premier Wen Jiabao, former UN Secretary General Ban Ki-Moon, former US Ambassador to China Jon Huntsman and Kenyan Prime Minister Raila Odinga. Beatrice Marshall has been an anchor for Africa Live since 2012. Based in the channel’s broadcast center in Nairobi, she hosts the daily news program that gives viewers a deeper perspective of the news and views of Africa. Marshall is also host of Talk Africa, a weekly talk show providing global viewers with an inside look at economic and political events shaping the African continent. Marshall has interviewed Chinese Premier Li Keqiang, former UN Secretary General Kofi Annan, former US Secretary of State Hilary Clinton and eighteen African heads of state. Previously, Marshall was Deputy Managing Editor and Chief Anchor at KTN, Kenya’s leading television network. Mike Walter is a general news anchor. He joined CCTV America, the predecessor of CGTN America, in 2011. He also anchors Full Frame, a weekly one-hour program which is enriched with animated discussion of film, arts and culture, humanitarian work, science, technology, innovation and social trends. Walter has an extensive career as an anchor. He was a weekday anchor at WUSA, the CBS station in Washington D.C. for 6 years. He also worked as Senior Correspondent at USA TODAY LIVE and covered a variety of national stories during his three years in that position. His reporting on 9/11 won him international attention, and he was interviewed on CBS this Morning, the Canadian Broadcasting Corporation and the BBC. Elaine Reyes is a general news anchor based in Washington, D.C. She is also the host of Americas Now, an hour-long weekly magazine program that focuses on social, economic and political issues in the Americas. She has covered all kinds of stories from natural disasters to sporting events and everything in between. Reyes previously worked for WRC-TV, the NBC station in Washington. She was also a reporter and anchor in Atlanta, Georgia and several other US television stations.